The target of Ionic framework is to build hybrid app,which essentially runs default browser in an app,will be accessed to native platform layer.It has many benefits like multiple platform support ( iOS, Android, Windows ) , development speed,access a 3rd party code etc..
Ionic provides powerful ways to build mobile applications that eclipse existing HTML5 development frameworks. 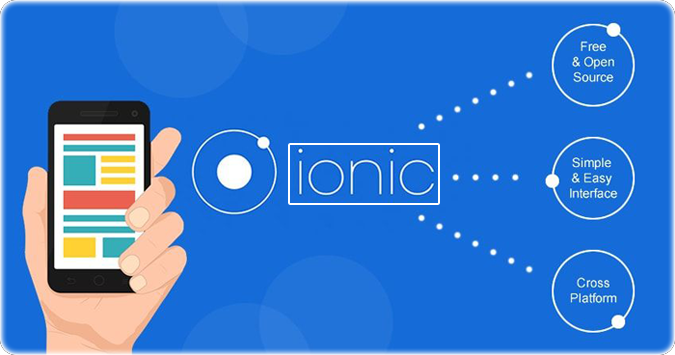 Ionic is an HTML5 mobile app development framework. it needs a native wrapper like PhoneGap or Cordova to run as a native app. We prefer ionic framework because HTML5 rules the mobile devices and it helps to develop native/hybrid apps instead of mobile websites, and developers creating stupendous web applications. With recent advancements in mobile technology, smartphones and tablets are now capable of running many of those same web applications. Ionic applications aren’t intended to be keep running in a browser of mobile app like Safari or chrome,yet rather the low-level program shell like iOS’s UI Web View or Android’s Web View, which are wrapped by instruments like PhoneGap/Cordova. Major difference between this apps is instead of creating a website ,can be build a self-contained application experience. So by ionic frameworks, developers can easily implement their phenomenal ideas for Hybrid Mobile Applications !